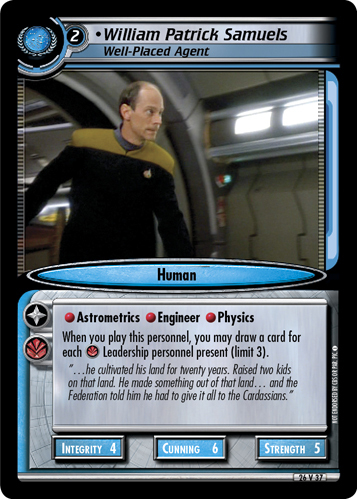 Commander: U.S.S. T'Kumbra. 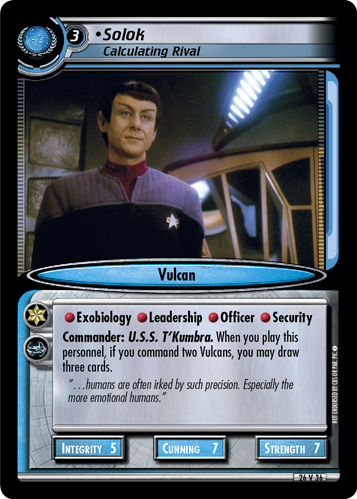 When you play this personnel, if you command two Vulcans, you may draw three cards. "...humans are often irked by such precision. Especially the more emotional humans." 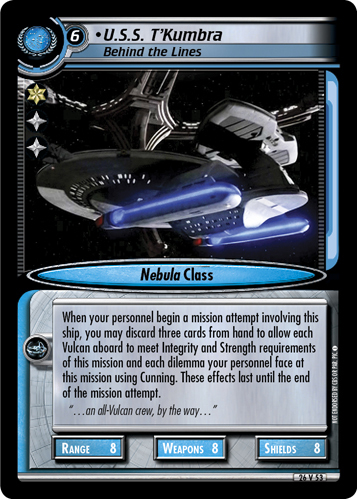 Image Source: Deep Space Nine: "Take Me Out to the Holosuite"